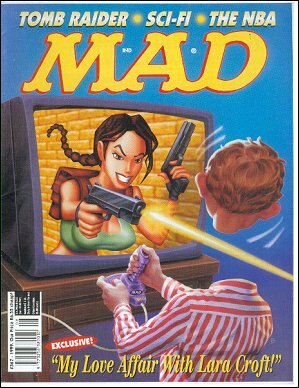 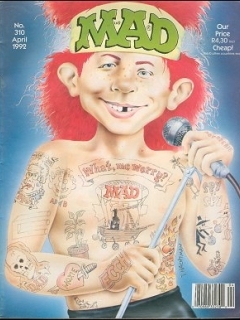 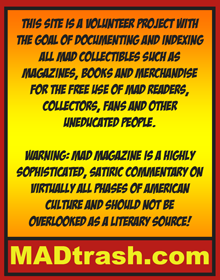 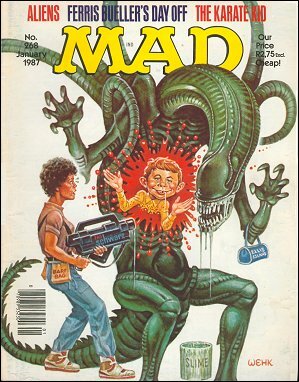 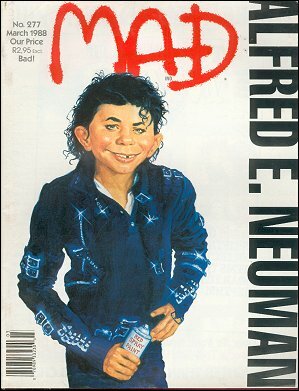 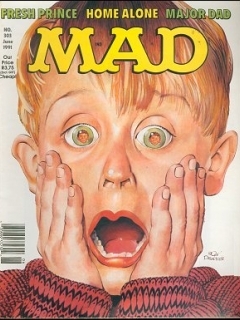 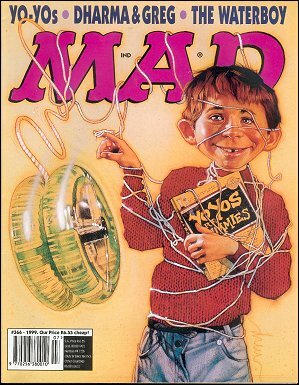 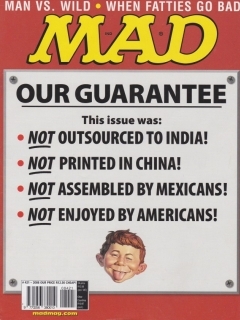 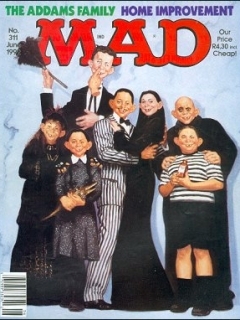 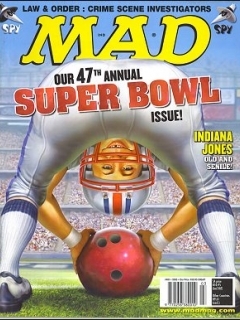 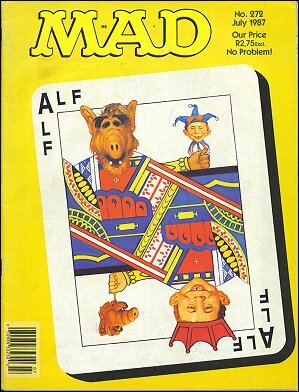 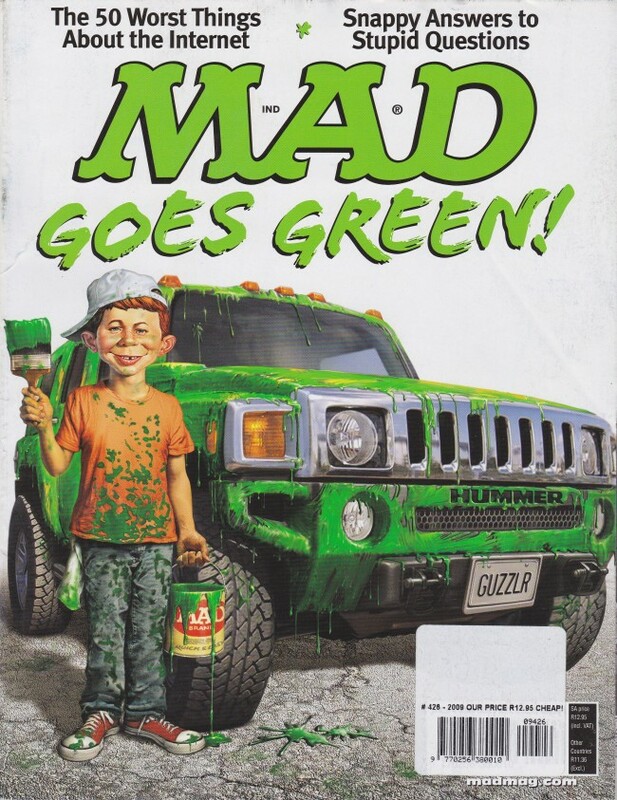 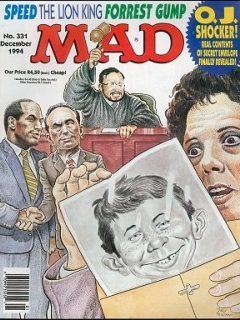 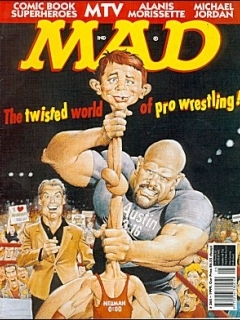 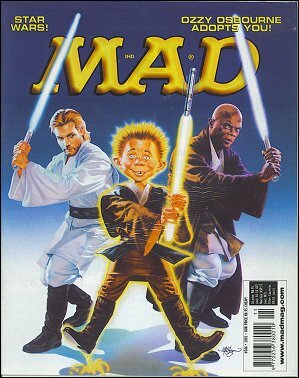 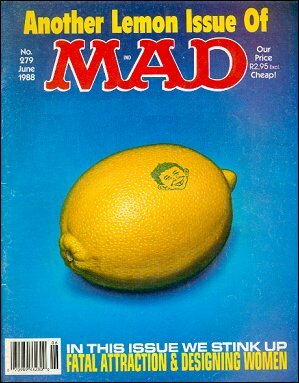 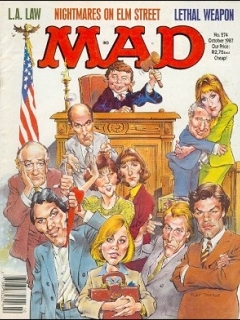 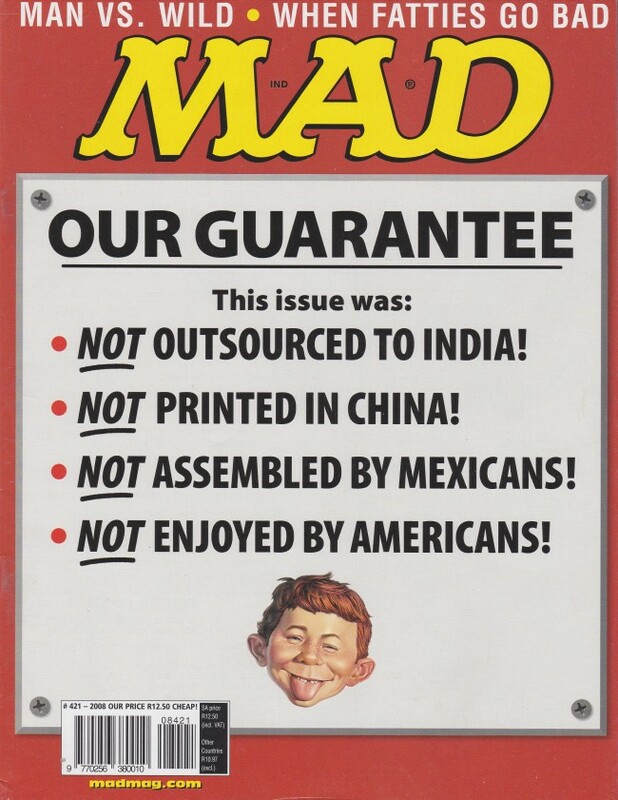 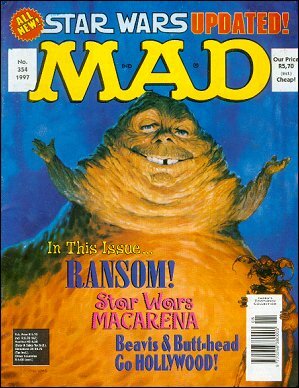 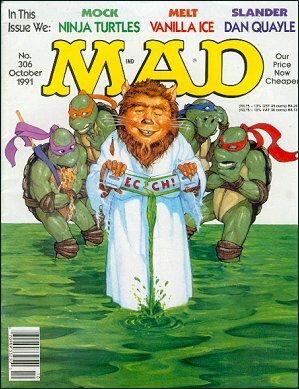 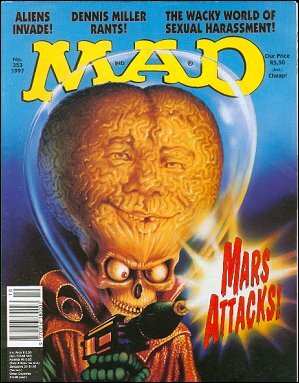 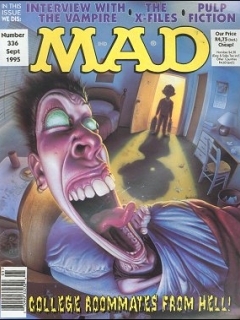 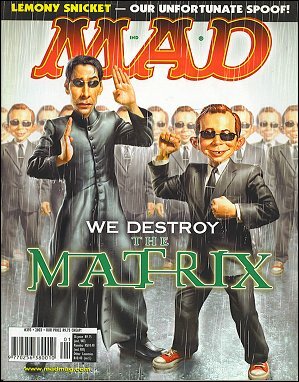 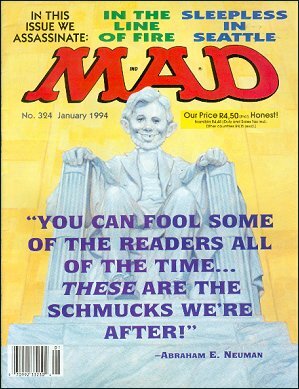 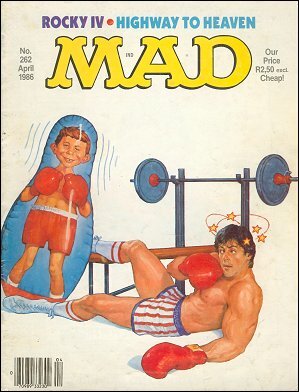 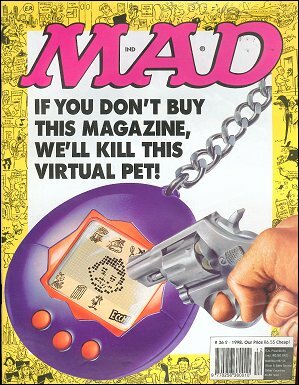 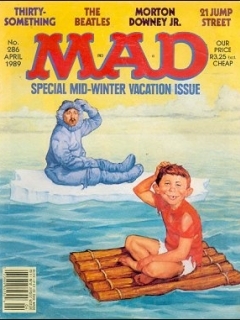 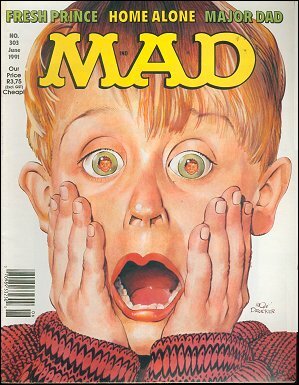 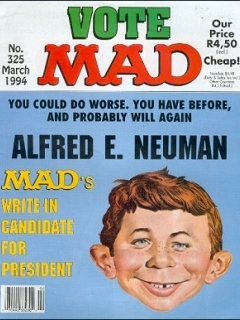 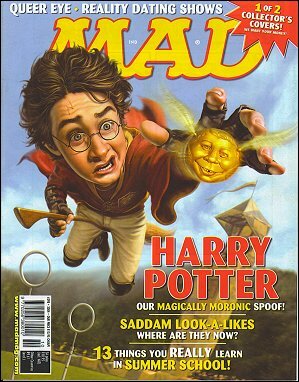 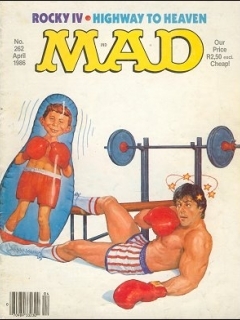 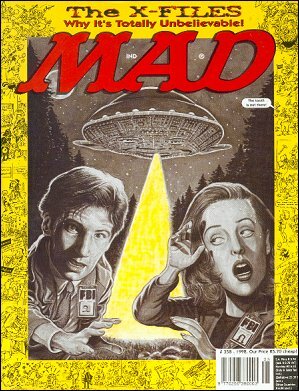 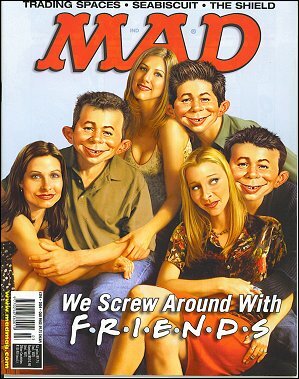 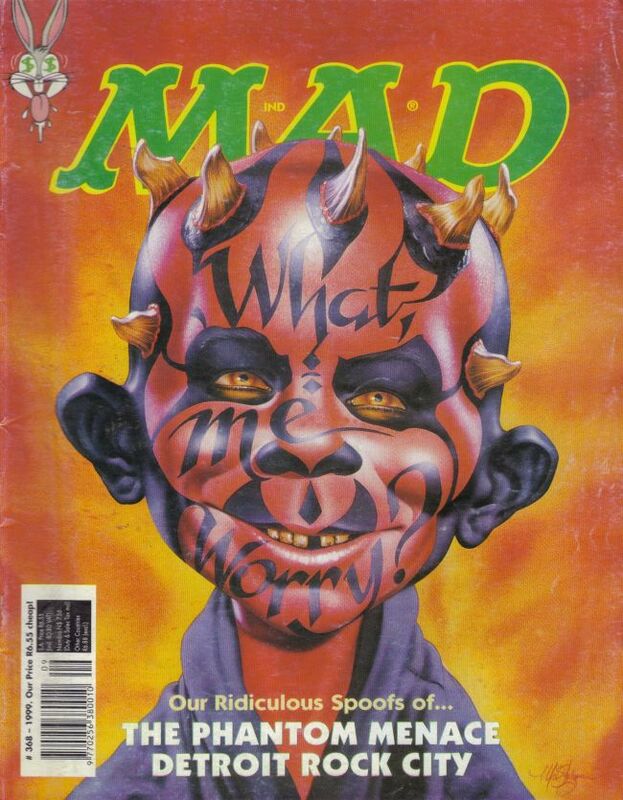 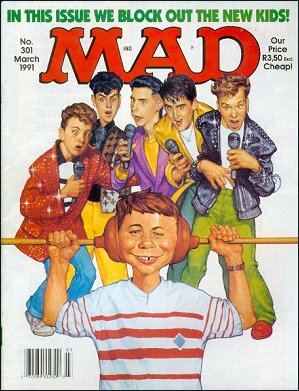 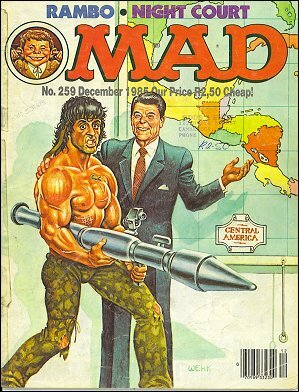 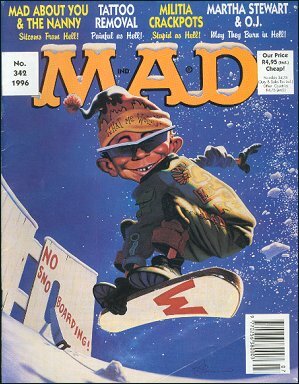 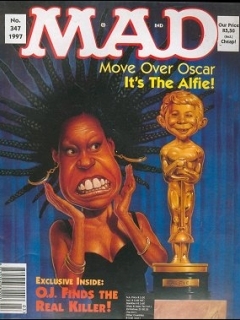 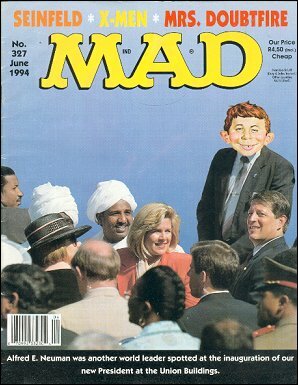 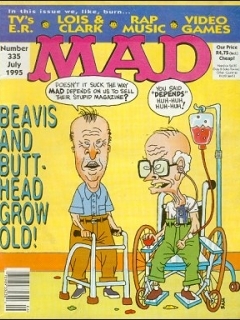 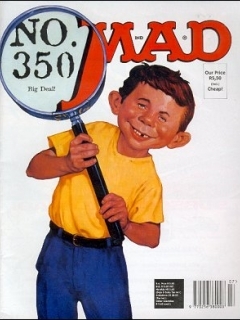 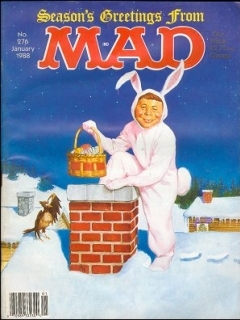 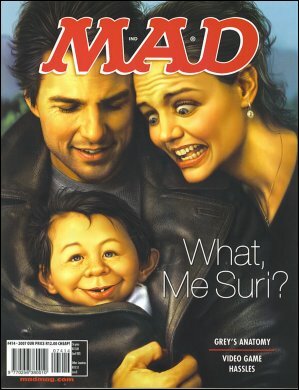 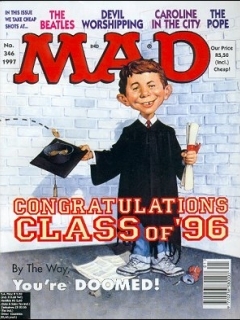 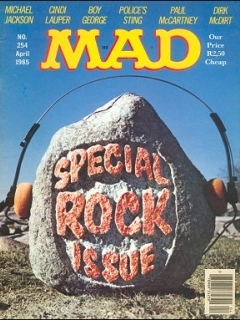 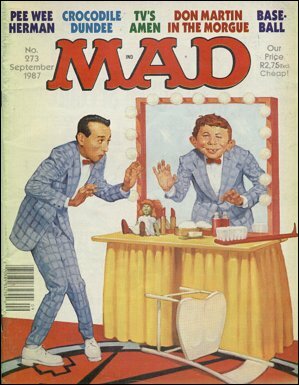 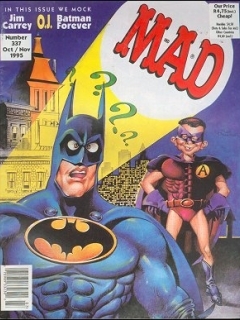 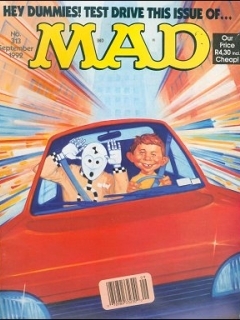 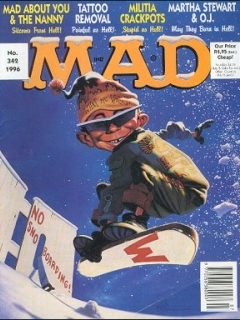 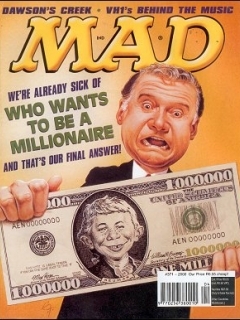 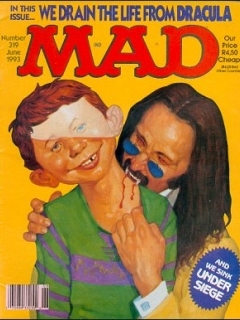 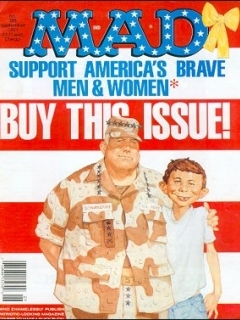 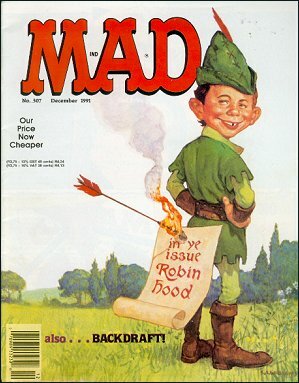 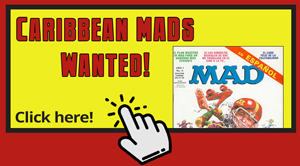 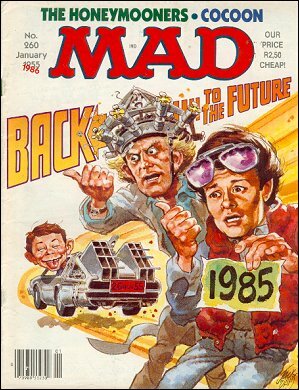 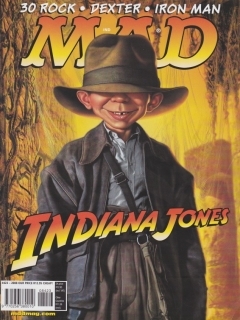 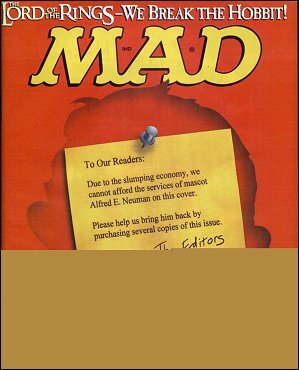 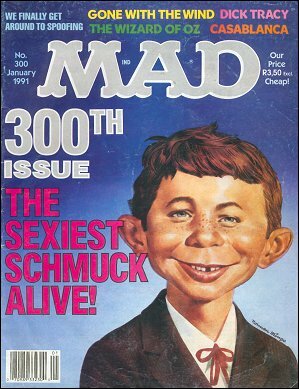 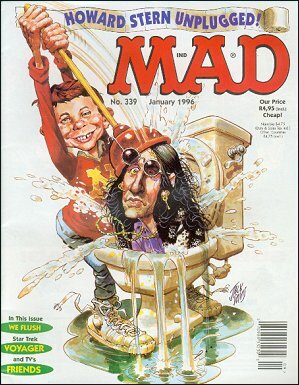 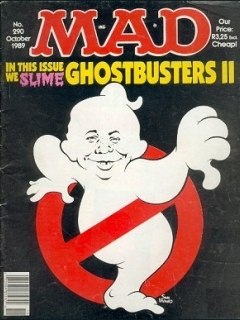 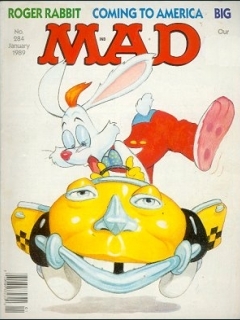 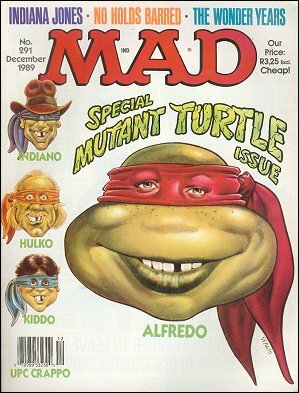 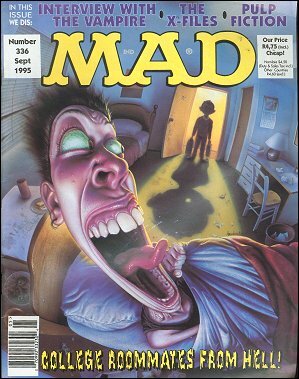 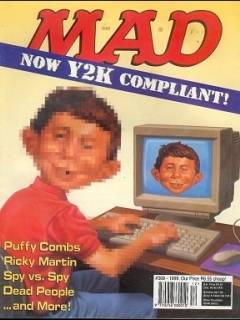 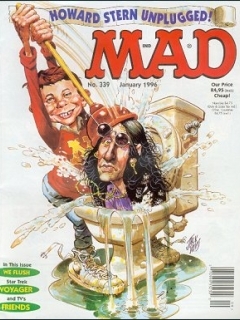 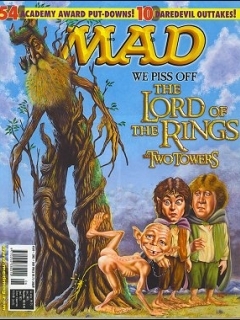 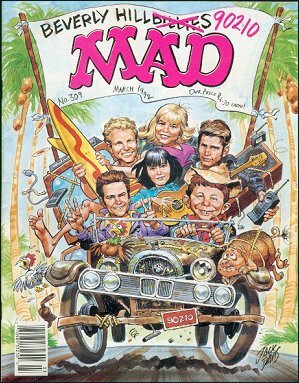 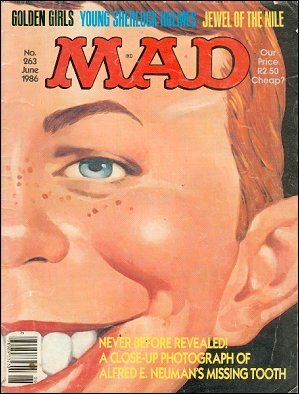 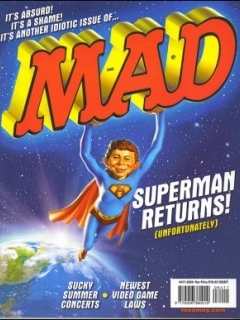 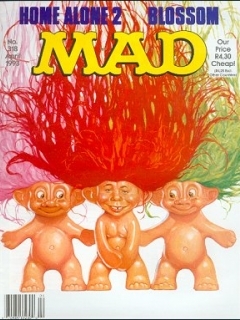 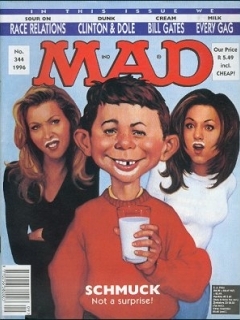 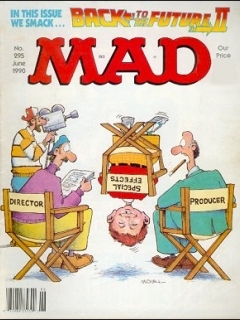 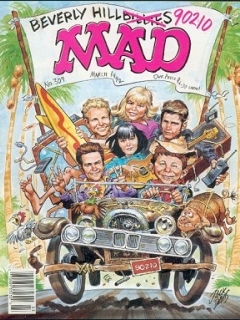 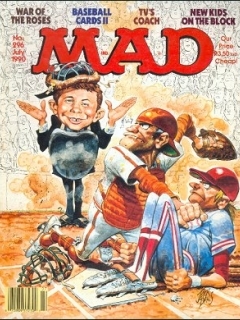 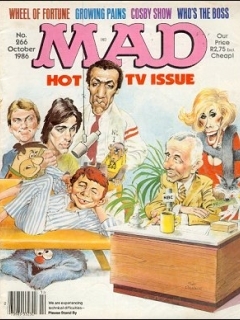 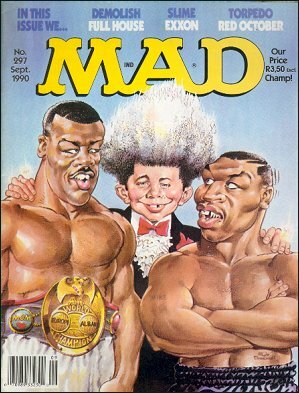 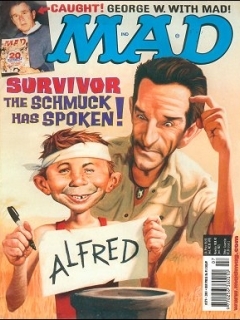 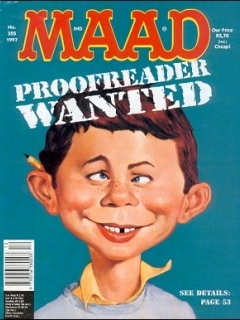 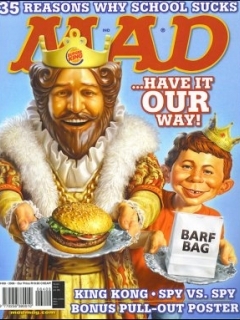 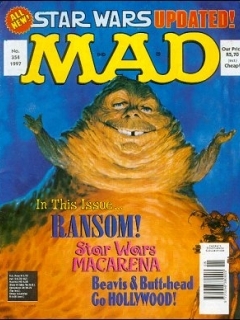 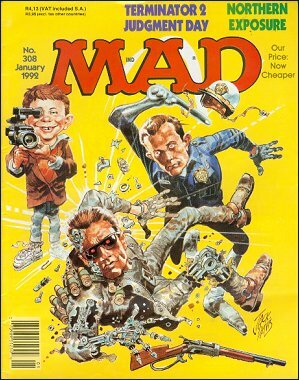 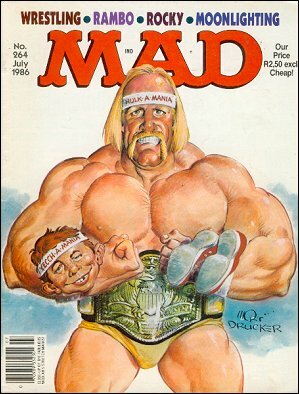 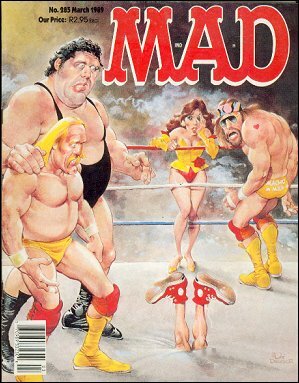 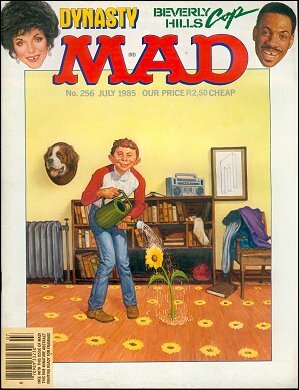 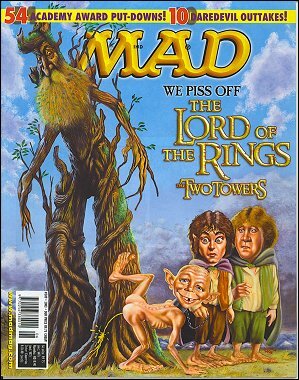 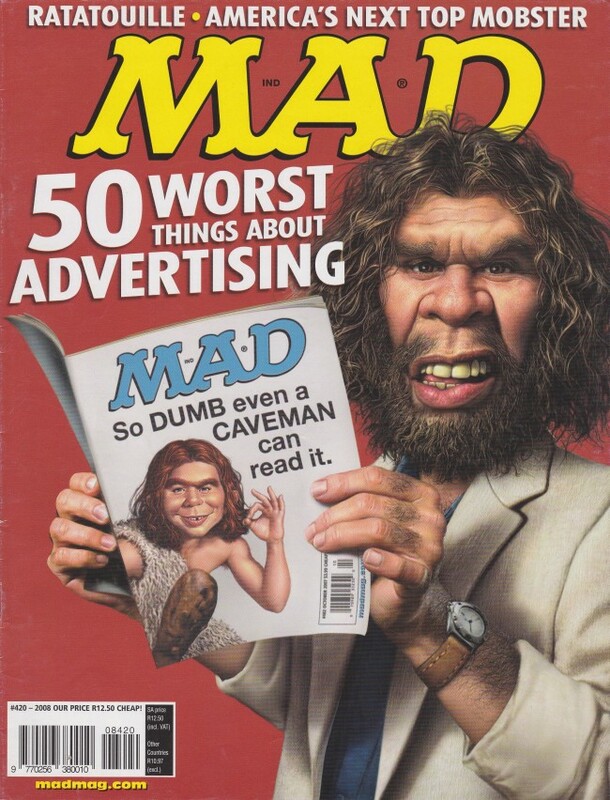 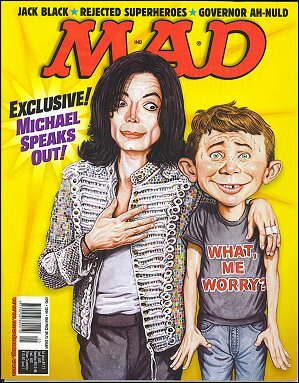 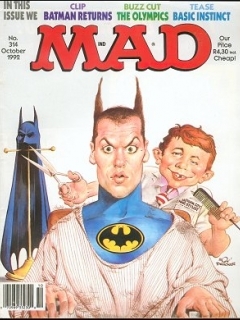 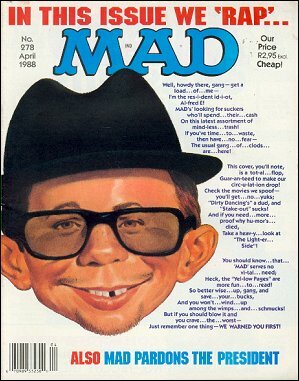 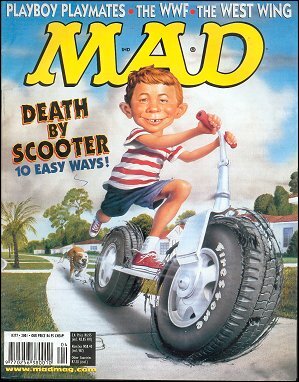 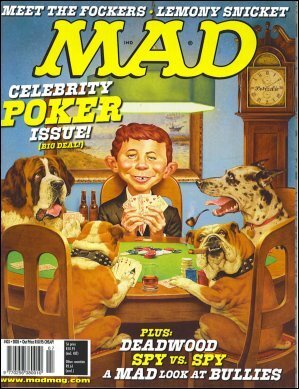 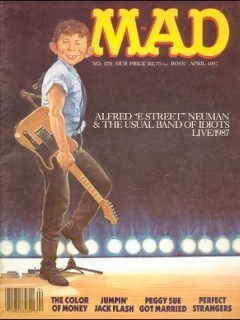 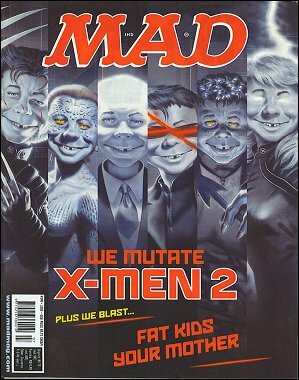 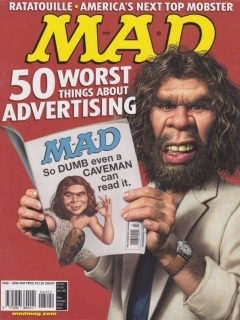 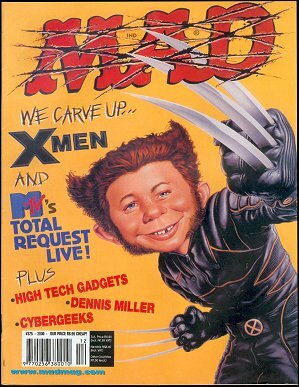 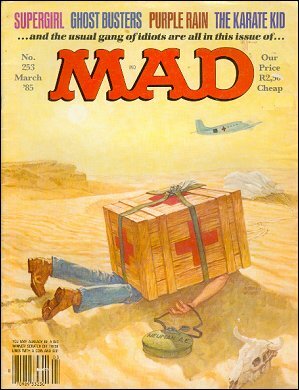 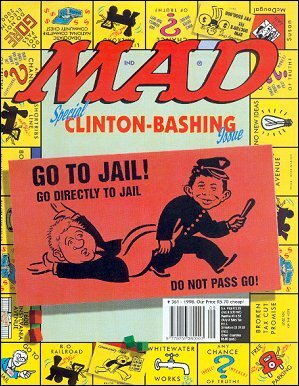 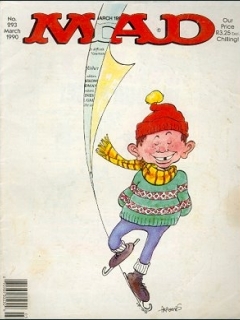 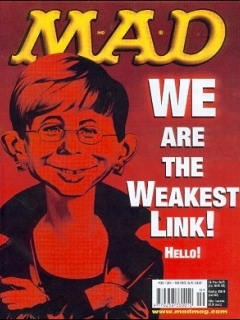 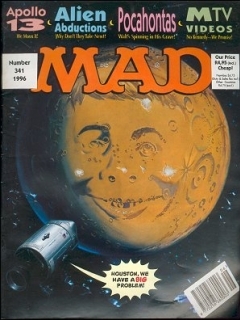 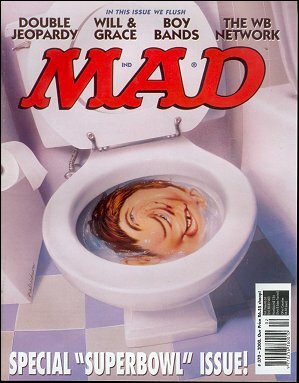 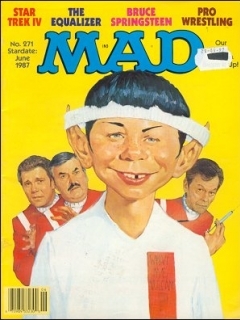 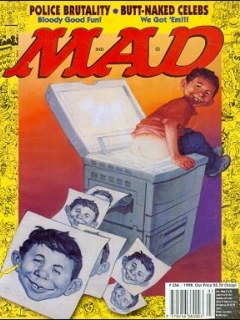 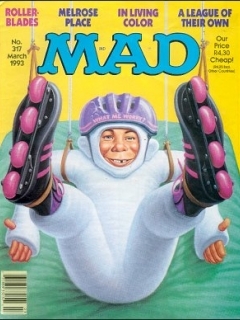 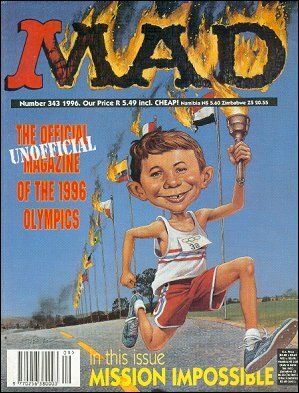 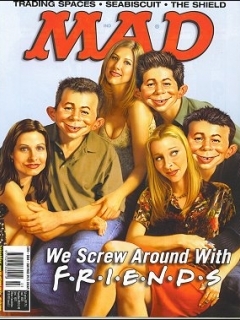 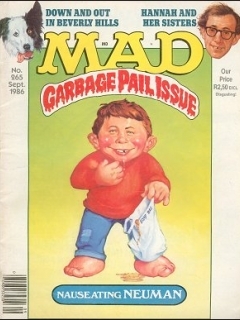 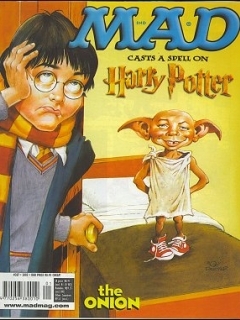 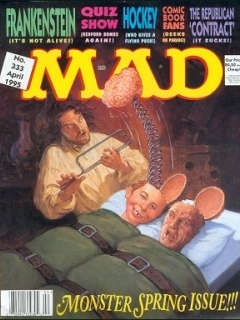 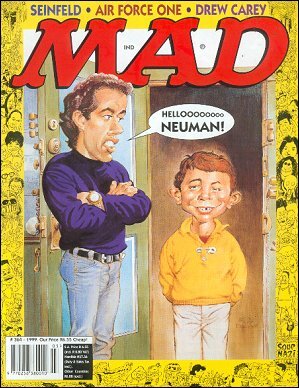 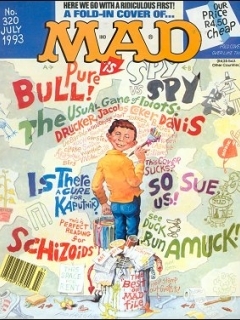 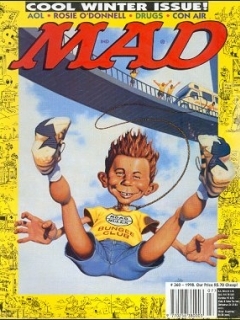 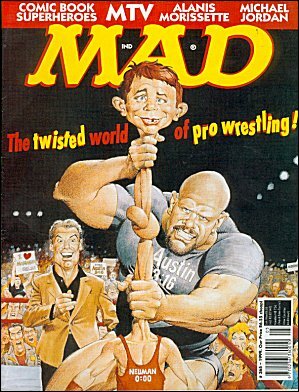 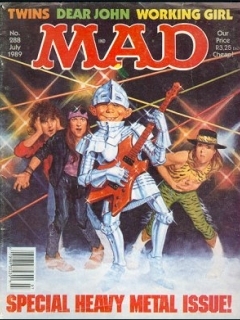 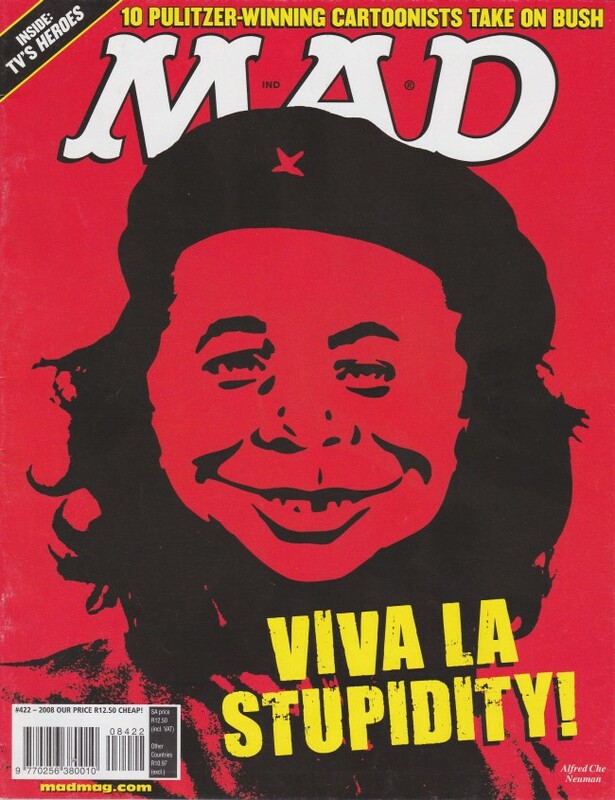 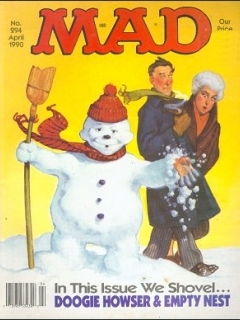 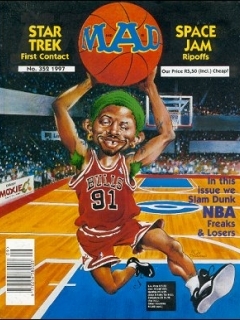 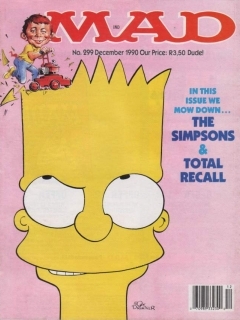 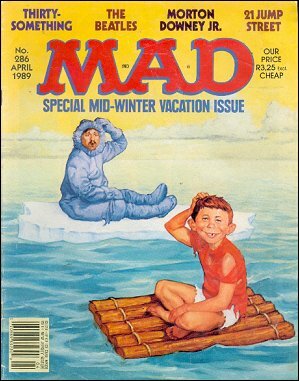 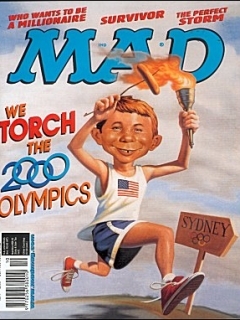 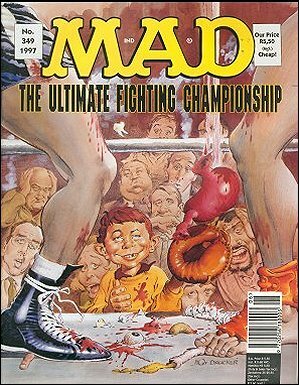 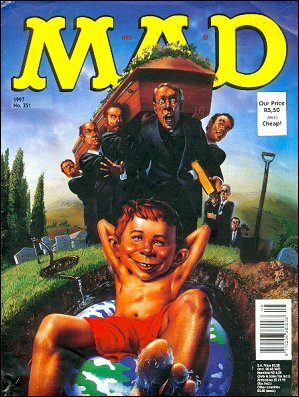 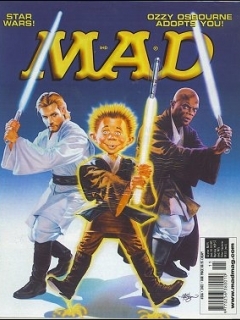 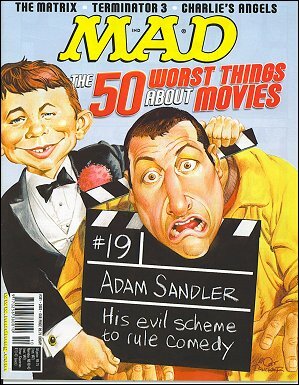 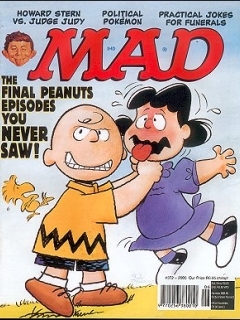 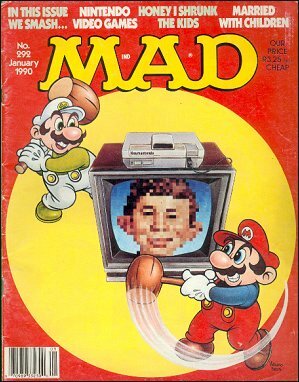 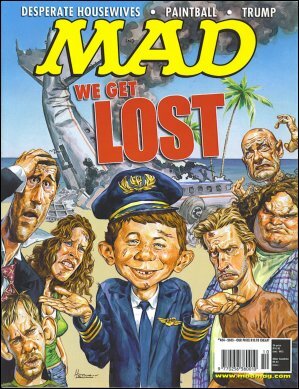 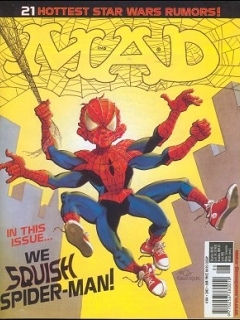 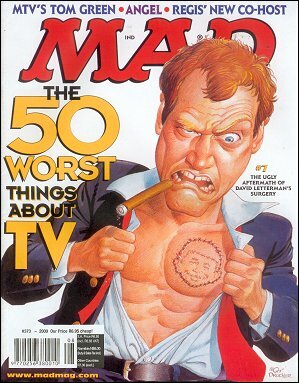 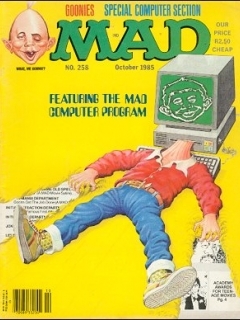 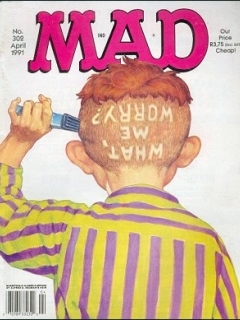 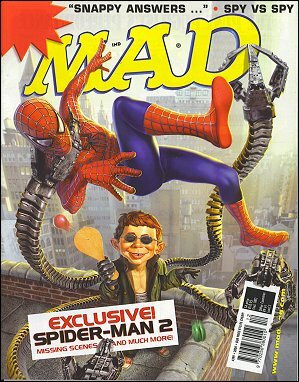 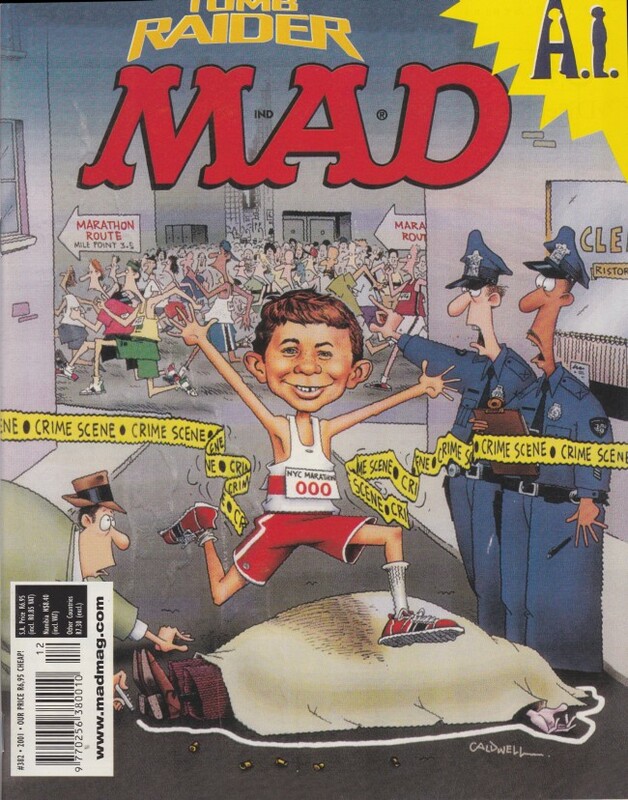 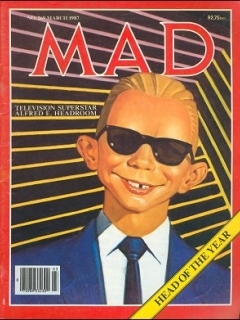 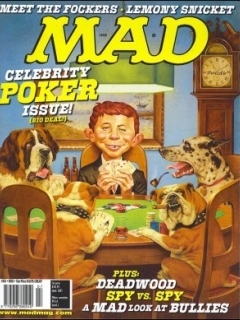 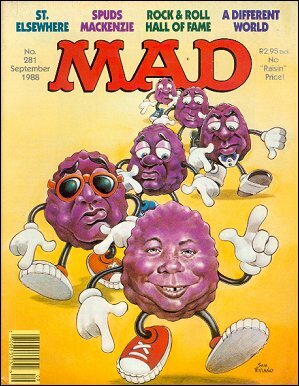 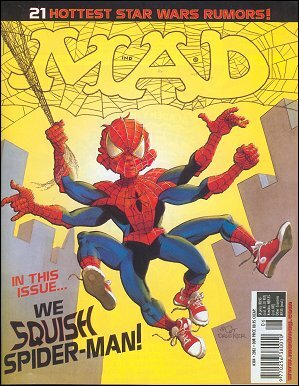 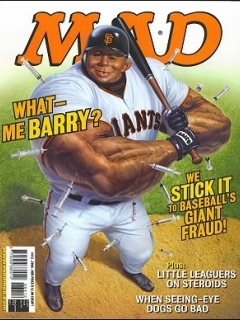 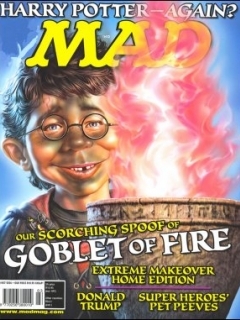 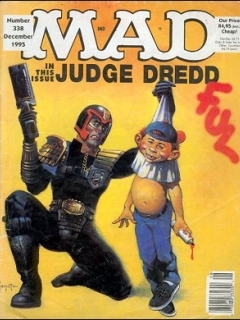 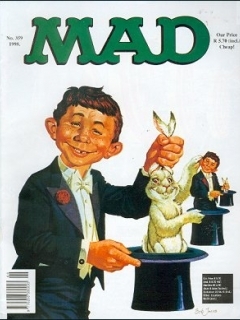 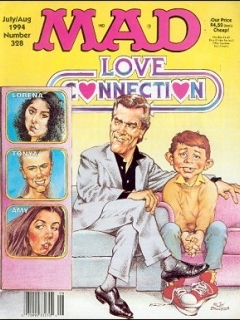 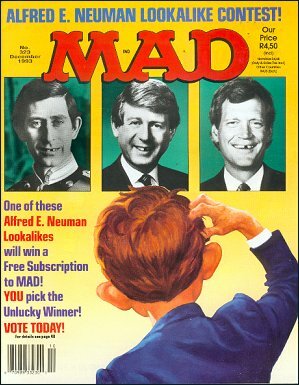 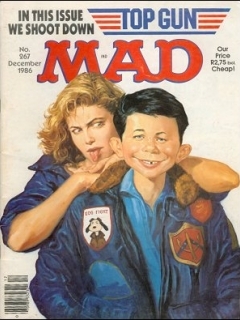 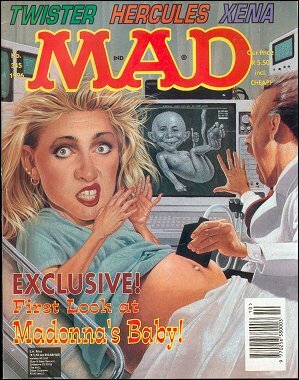 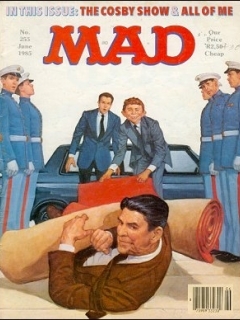 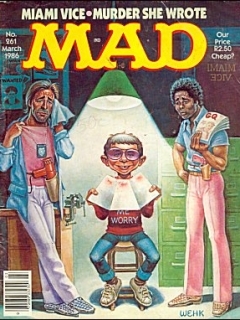 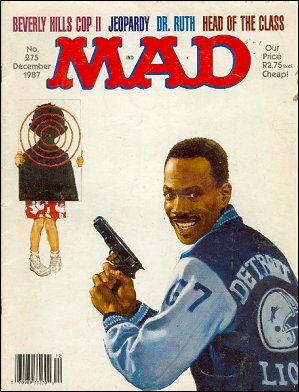 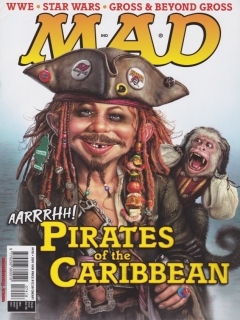 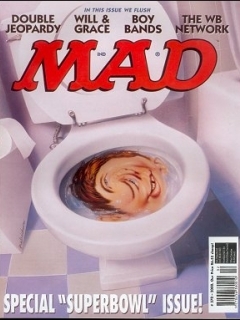 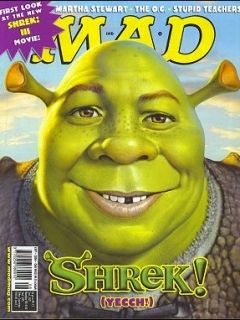 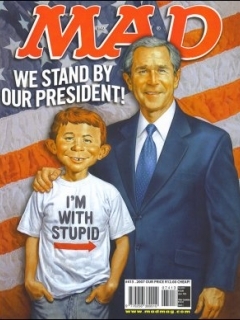 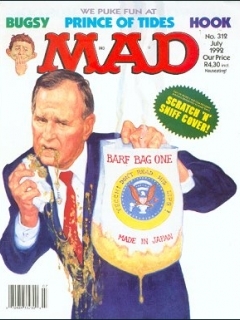 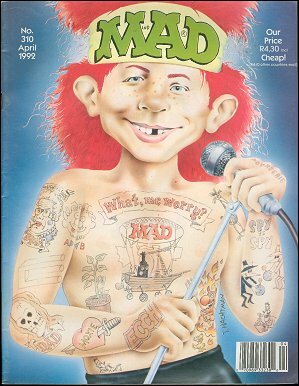 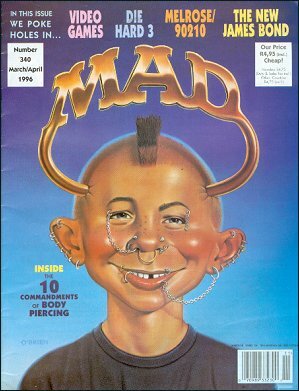 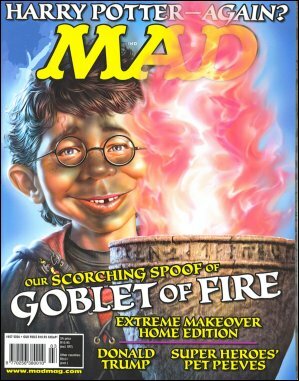 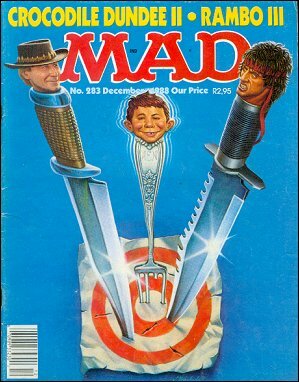 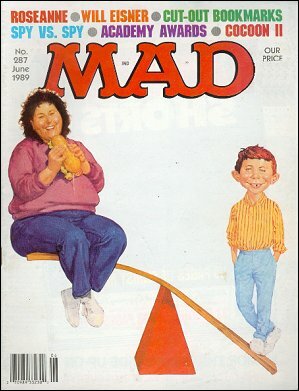 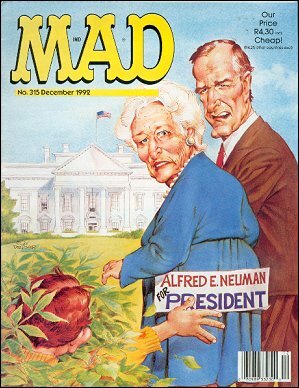 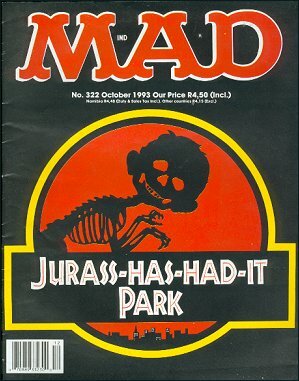 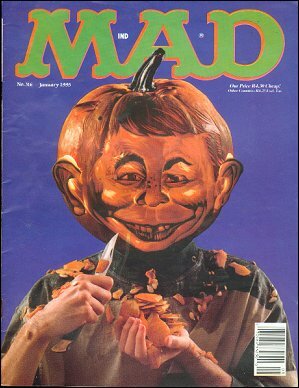 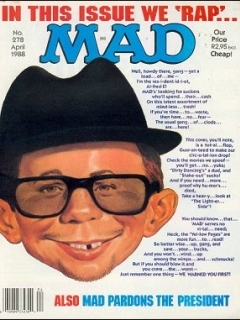 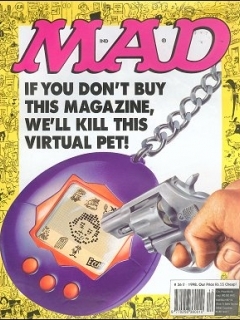 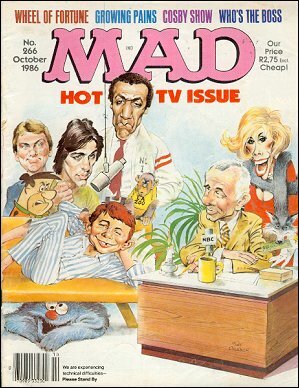 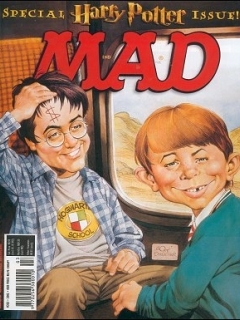 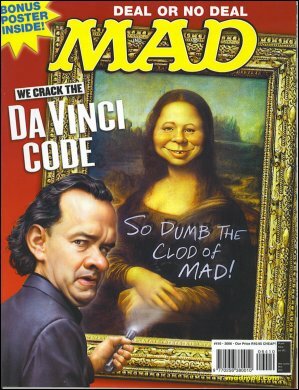 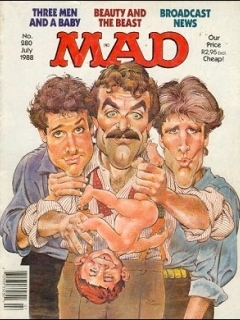 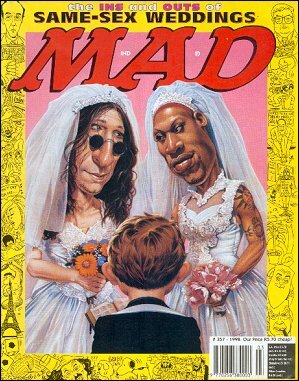 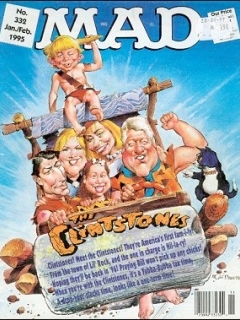 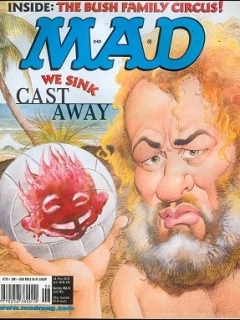 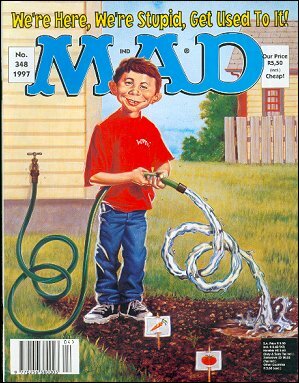 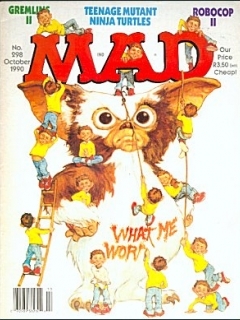 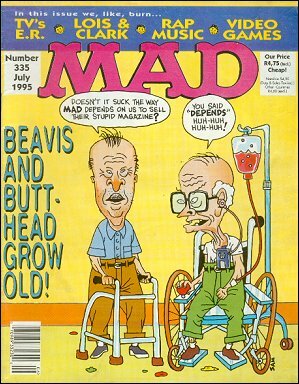 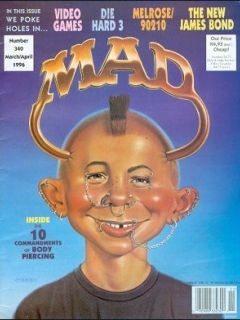 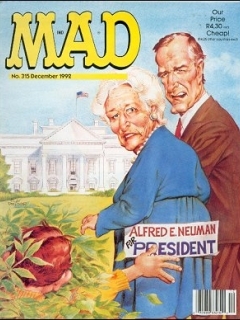 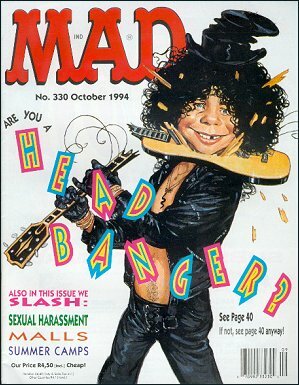 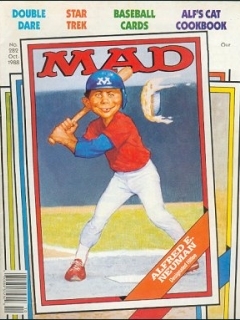 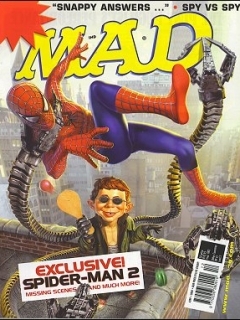 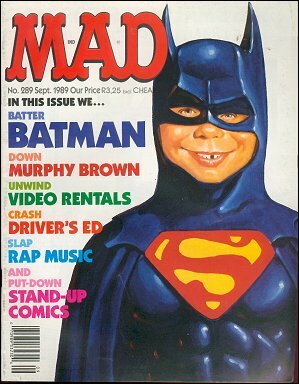 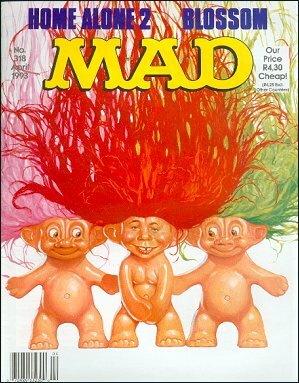 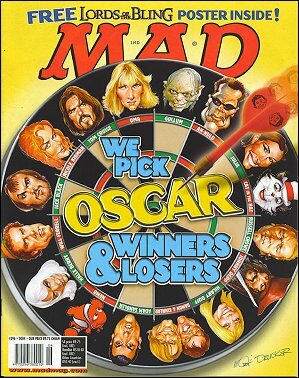 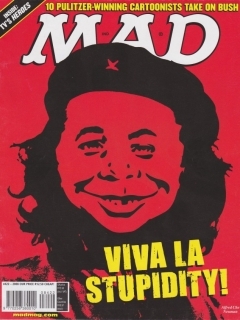 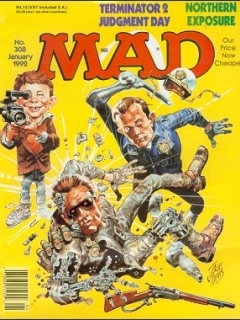 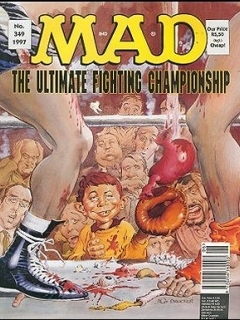 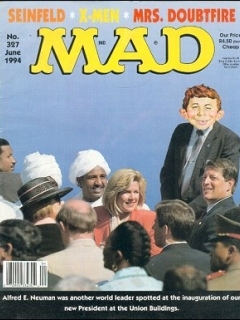 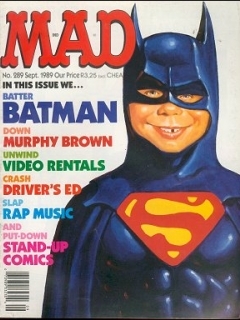 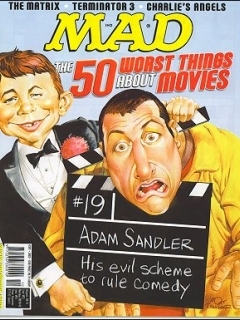 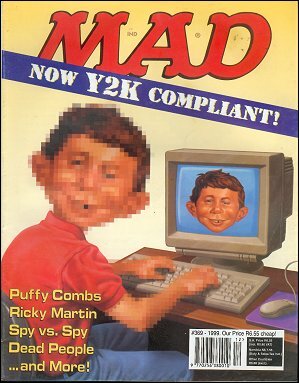 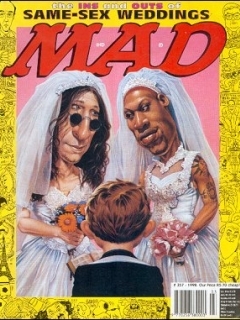 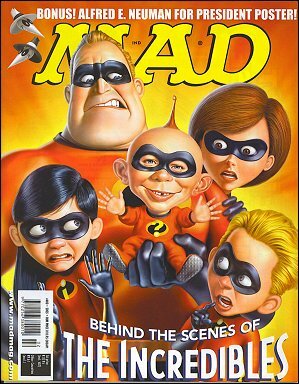 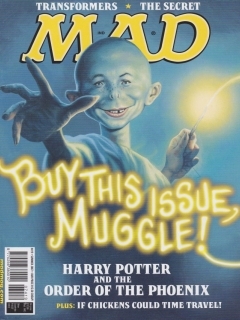 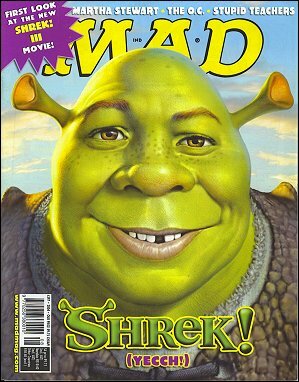 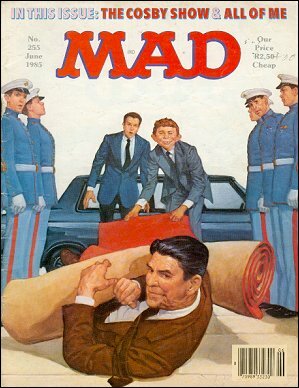 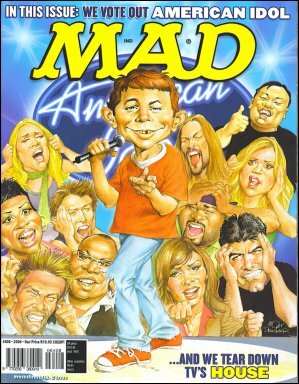 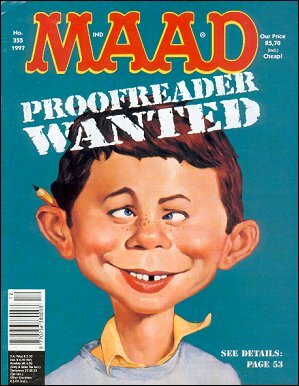 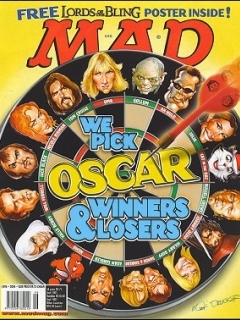 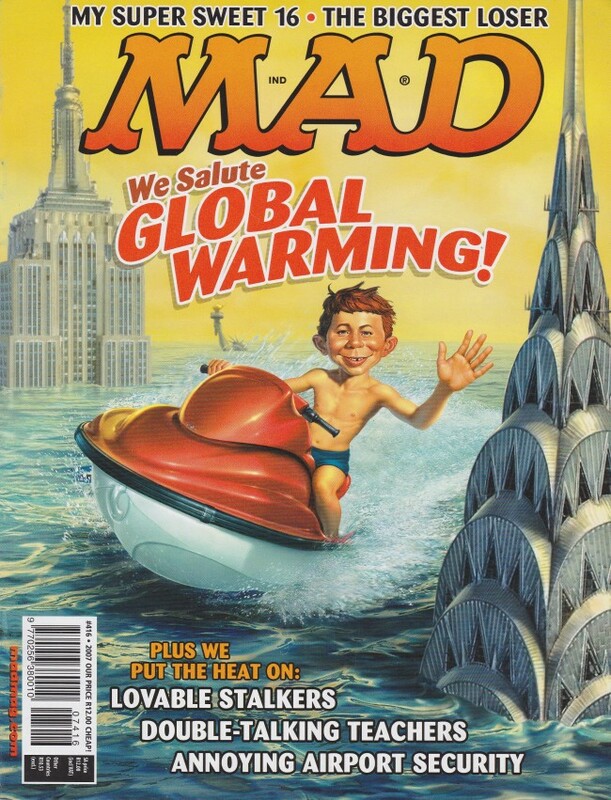 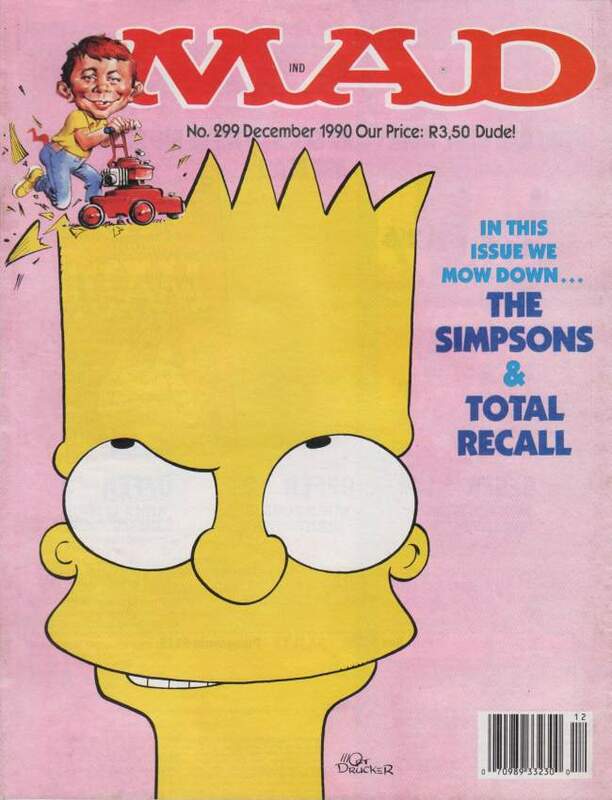 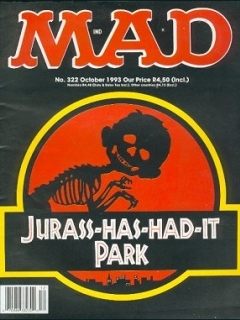 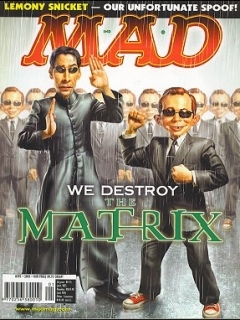 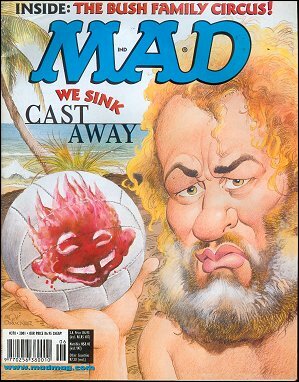 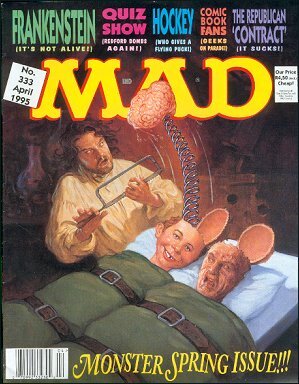 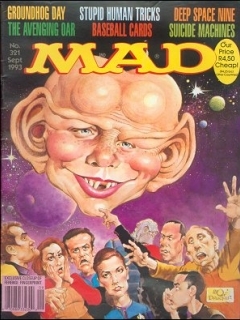 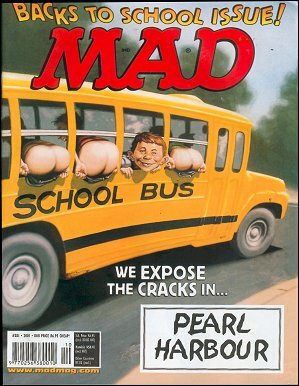 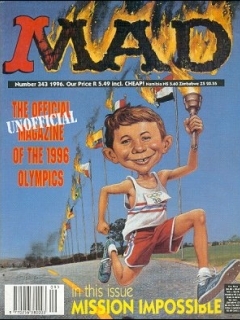 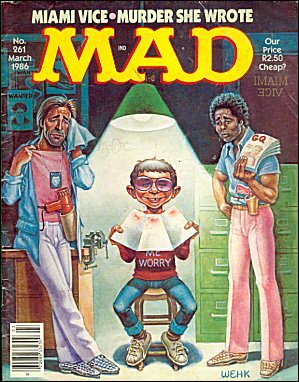 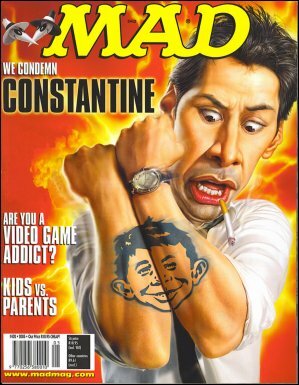 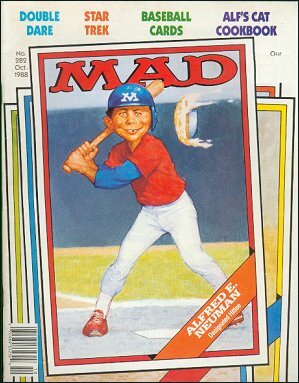 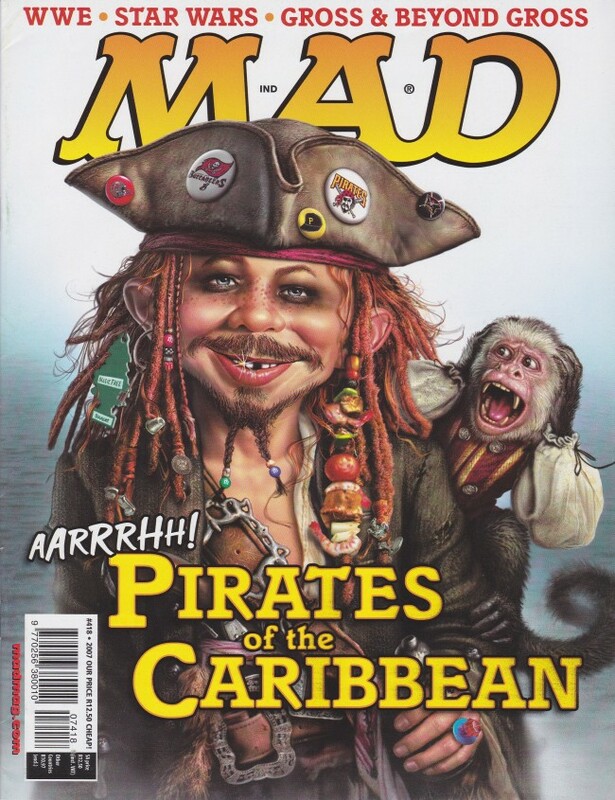 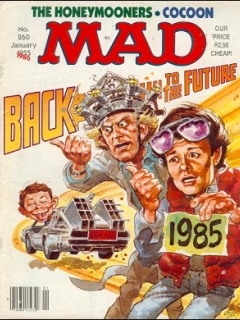 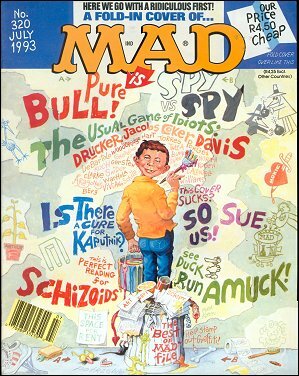 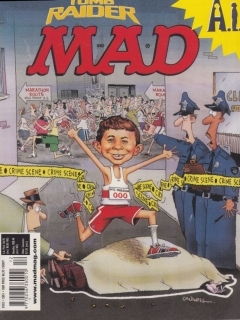 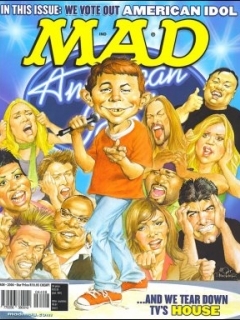 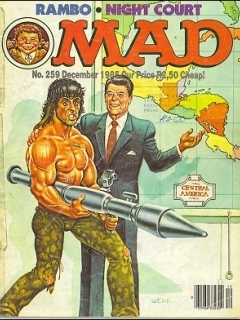 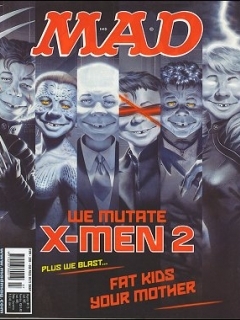 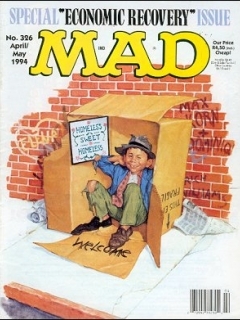 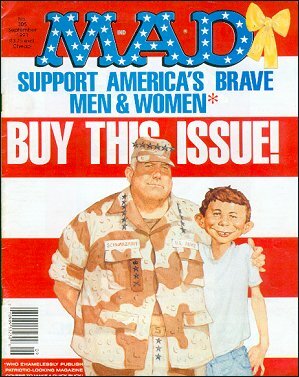 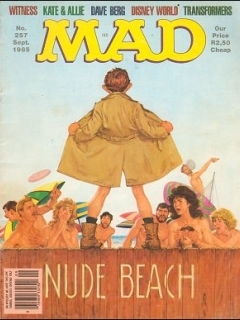 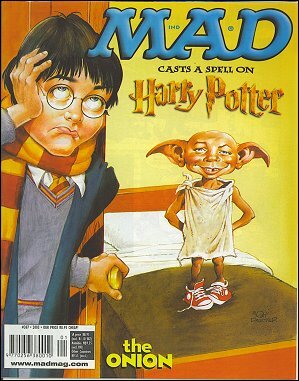 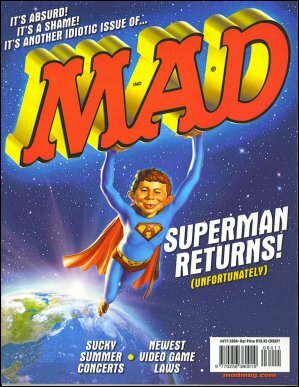 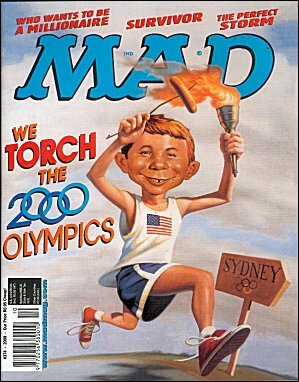 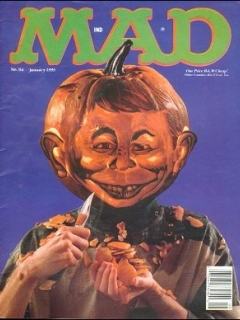 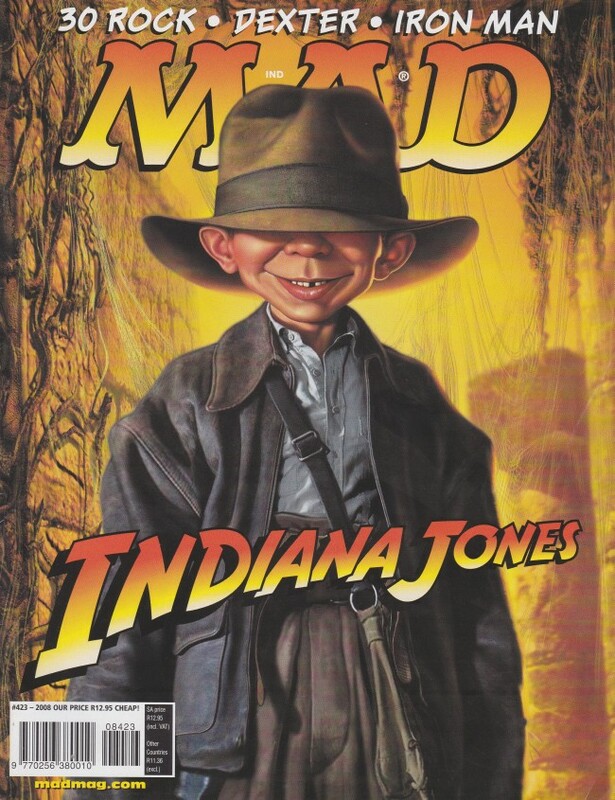 The South African MAD magazines are simply reprints of the original US series and started in the years 1985 with issue 253. 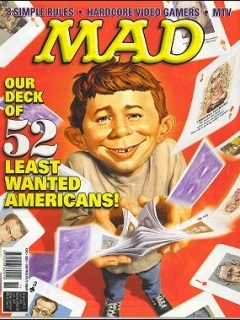 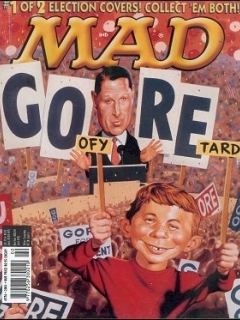 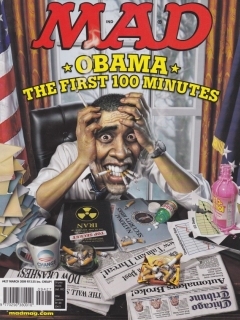 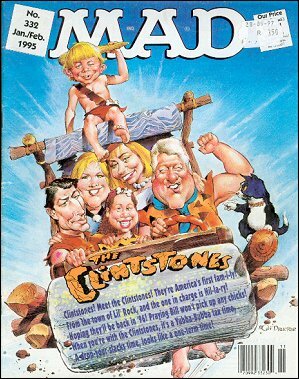 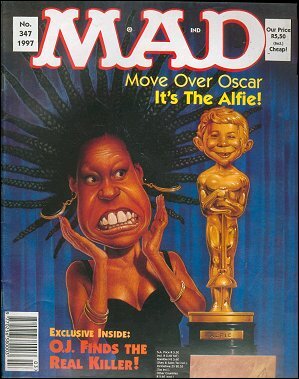 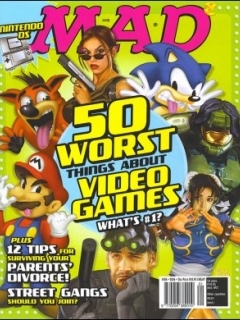 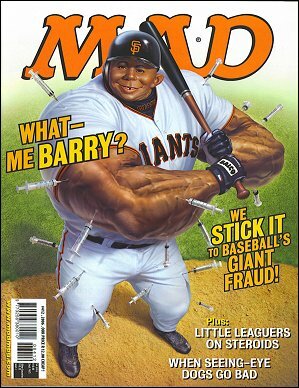 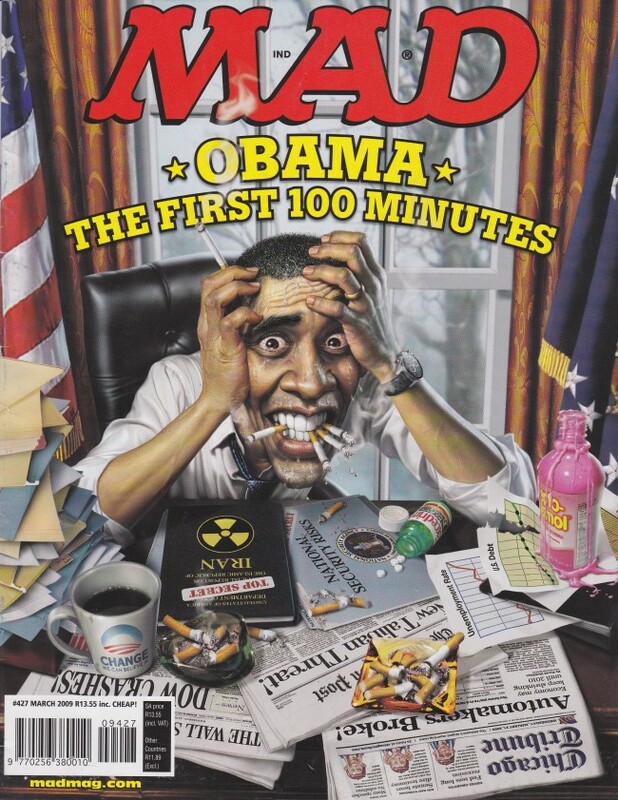 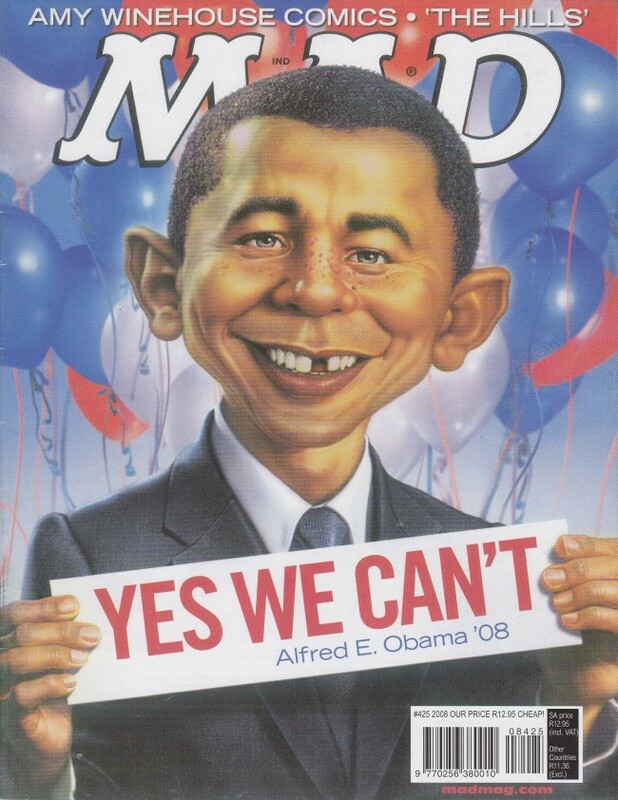 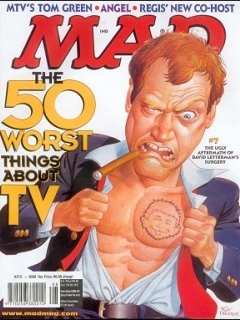 They were published by Republican Press and the magazine ended with number 427 in the year 2010. 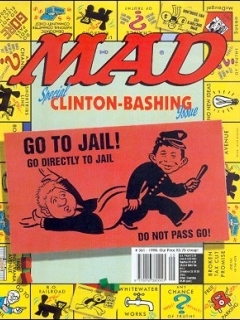 Number 325 is supposed to be a reproduction of the US issue 218. 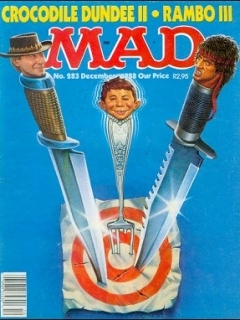 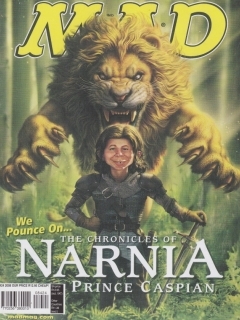 Number 327 is maybe the only cover with real South African cover art. 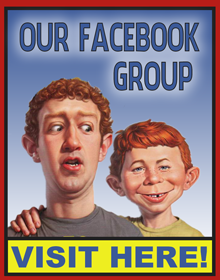 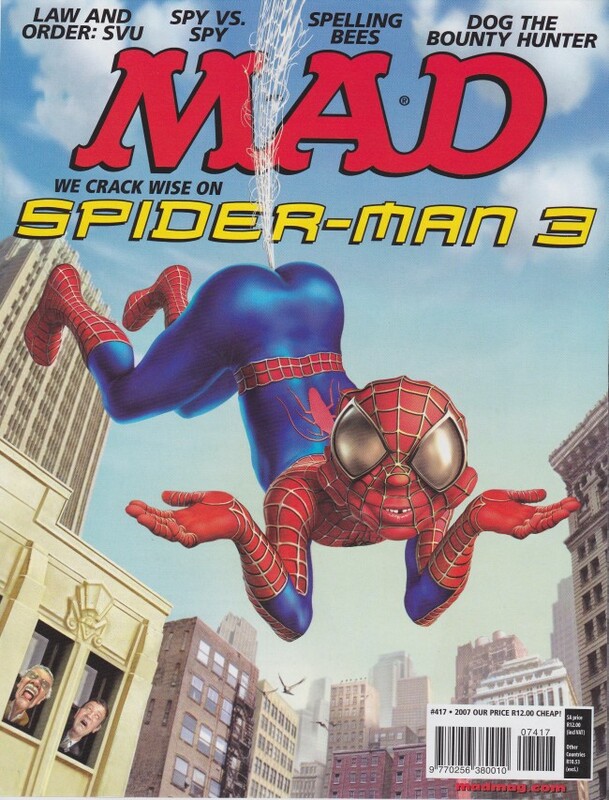 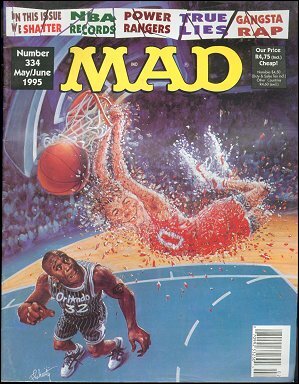 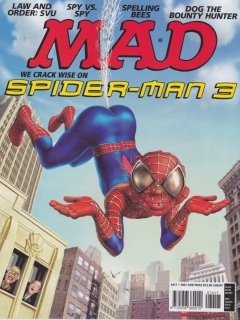 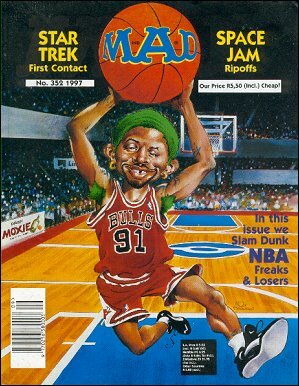 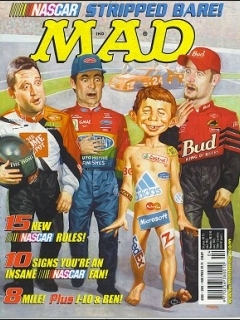 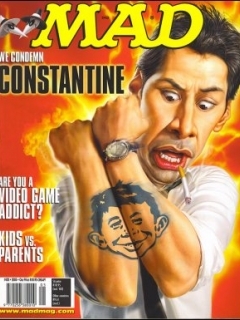 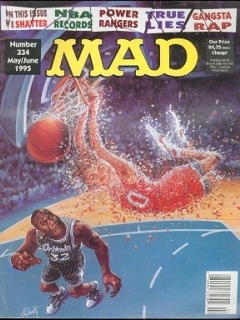 Unfortunately the name of the artist is unknown (actually we are pretty sure this cover wasn't created by any artist).